Recently I was very lucky to be introduced to an amazing Tokyo Disney Cast Member. Of course, I could not resist interviewing them for you here on the blog! I am so touched that this person took time out of their busy schedule to share with us. The Cast Member asked to remain “anonyMouse” due to the fact that they play several different Disney characters in the shows. I very much respect, and hold in high regard, that they are truly “keeping the Disney magic alive” by hiding their identity. I hope you will agree with me that the secrecy does not decrease the value from the interview in any way. This is exclusive information you just won’t find any where else! 1. What do you think gives Disney and it’s characters such global appeal? Disney offers a sense of belonging and happiness, expressed through its characters. Each Disney story has a happy ending, but also shows the struggles and sacrifices each character has to make in order to find their happiness. It teaches lessons to its viewers and gives them something to smile and be happy about. The parks themselves, bring the Disney magic alive, through shows, greetings and parades, presenting Disney in the way it should be presented, through spectacular displays. No matter how down or depleted you feel, Disney will always put a smile on your face. 2.What do you wish Disney lovers in the US knew about being a dancer at Tokyo Disney? I don’t think people realize the effect Disney has over the world – and I can definitely tell you that Disney lovers in the US are not alone. The Japanese go above and beyond to express their adoration for Disney and we definitely get appreciated for working here. There’s not anything new to reveal to Disney lovers in the US about being a dancer in Tokyo Disney, other than the overwhelming support we receive from our fans who watch us daily. They send us constant gifts, photos, letters, and it definitely brightens our day. 3. What has been your favorite magical moment so far in your career? I think it would have to be the kids. Every day in the audience, there are children dressed up as either Minnie mouse or a Disney princess. Japanese children are literally the cutest things I have ever seen, and when their parents dress them in Disney attire, it makes me melt every time. The constant support and appreciation we receive from the Japanese audiences is surreal. Among many new faces I see watch us every day, we have our avid fans of the shows, who watch religiously everyday and take amazing photos, which I will forever be grateful for. Being able to have these moments captured, is definitely something that makes me smile. I’ve never met a culture who loves Disney as much as the Japanese do and performing to these people every day is definitely a joyous thing. 5. 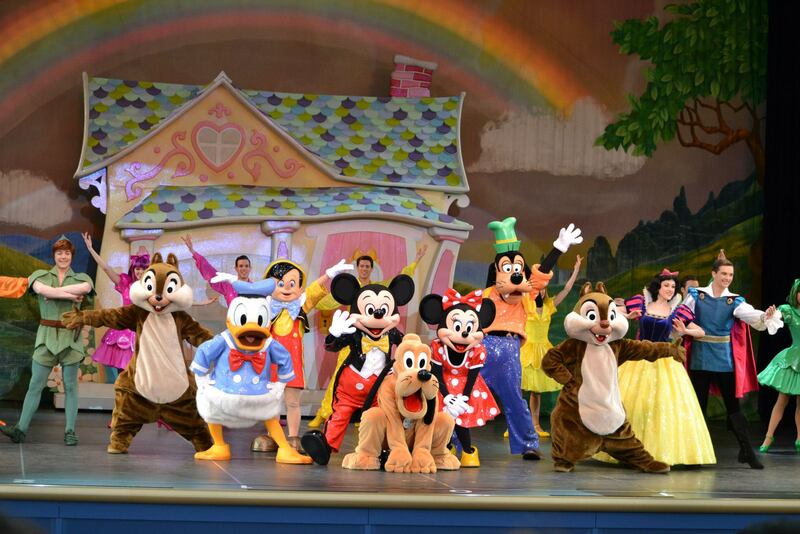 What advice would you give to someone who would like to become a dancer at Tokyo Disney? Definitely do it! Its a once in a lifetime experience, that I’m never going to forget. Not only do I love working for Disney and bringing magic to peoples lives everyday, but the Japanese culture is amazing also. They are so considerate and loyal to everyone, it makes me wish the whole world were the same way. Any idea how to send a message to a Tokyo Disneyland cast member? The post says “They send us constant gifts, photos, letters, and it definitely brightens our day.” Where can they be sent? I have a friend whose little girls had THE most magical day because of how much attention the TDL cast paid to her and she wants to thank them personally but can’t seem to find a way to send a message. how DO you send mail to tokyo disney to thank a character or group of characters for bringing on the magic?